Saving your money may sound boring and old-school but in this fast changing economy where the stock market is highly volatile, the crypto currencies plunged, and the government stability become a question; savings might be one of the best way to grow your income in a safe and simply way. 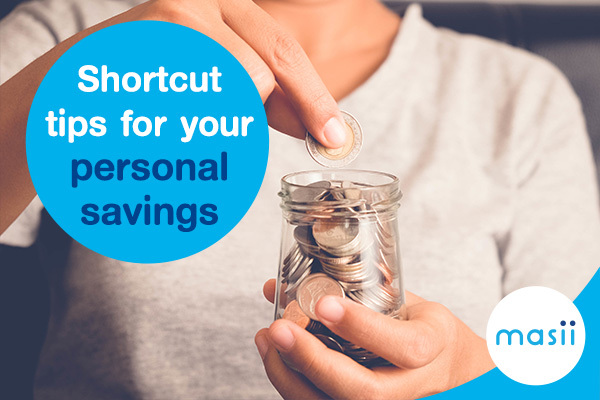 The top question is how to accelerate the result from your savings so Masii would like to introduce you some shortcut tips for your personal savings. It’s a really useful way for you to do a daily records of income and expenses since this will reveal your current financial situation which can aid you in examining the cause of financial problem and help you find the right solution in time. There are tons of ways you can save your money but none of them would work efficiently unless you customize it to your own preferences based on your risk-averse level, available types of savings, stability of income stream, flexibility, etc. Once you get this tailored-made method, start executing and keep revising it to match your current financial situation. The less you spend on unnecessary stuff, the more you will have for the savings and trust me that’s worthwhile! You might start by opening your closet to see whether how much you spent with your clothes or weigh yourself to see how much you have gained from the extravagant meals. Once you realised, we will figure out how to lower those spendings or even get the most out of what you currently have like reselling your old apparels. 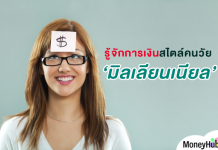 Another way to maximize the interest gains from your savings is to increase the amount of principal. However, it might be hard to get more income from the same source. Thus, adding new sources of income to your portfolio might help and the advancement in technology really aid you that there is almost no cost in setting up your online shop or online publication. You may start with what you are good at or what you have a passion with. Selling stuffs on online platforms like Facebook or Line may be an easy way to ignite your inner fire. You can be limitless for lots of things but for your spendings, you should set the limit! 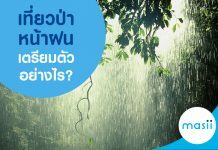 For instance, you may set your daily spends on food to be THB 200. By following the limit, you may save huge money that could be invested or used for another important purposes.